Departure Date & Time: Every Saturday & Sunday 05.45 am Sharp, at SP College, Tilak road. Arrival Date & Time: Every Saturday & Sunday at 06.00 pm, at SP College, Tilak road. Meeting Time and Place: 05.30 am Sharp, at SP College, Tilak road. For Only Rafting, you have to report directly at Rafting campsite. After Attendance Departure for Kundalika Rafting by Private Non AC Vehicle. Packed Breakfast on the way to save the time. Report at Kundalika Rafting Point. Gear Distribution like Helmet, Life Jacket, and Pedals. 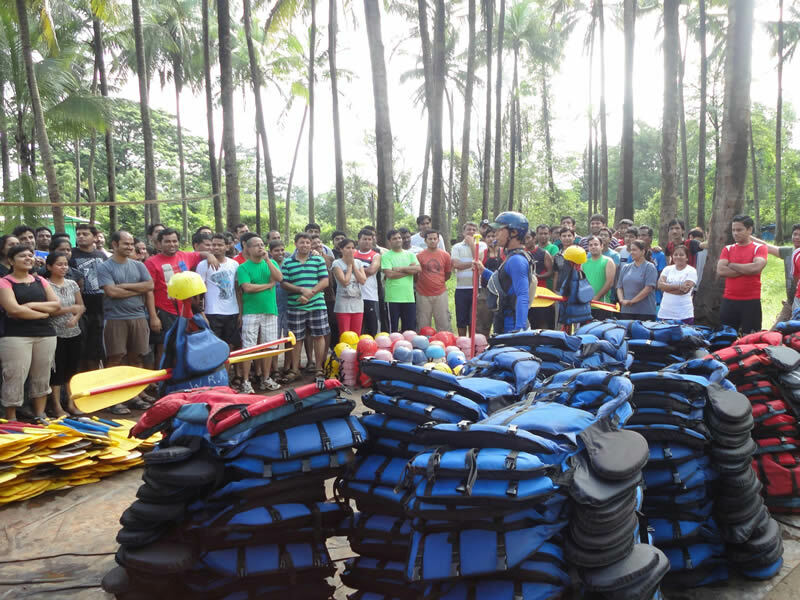 Introduction & Safety Instructions by Experts. There will be One Expert in each Raft. 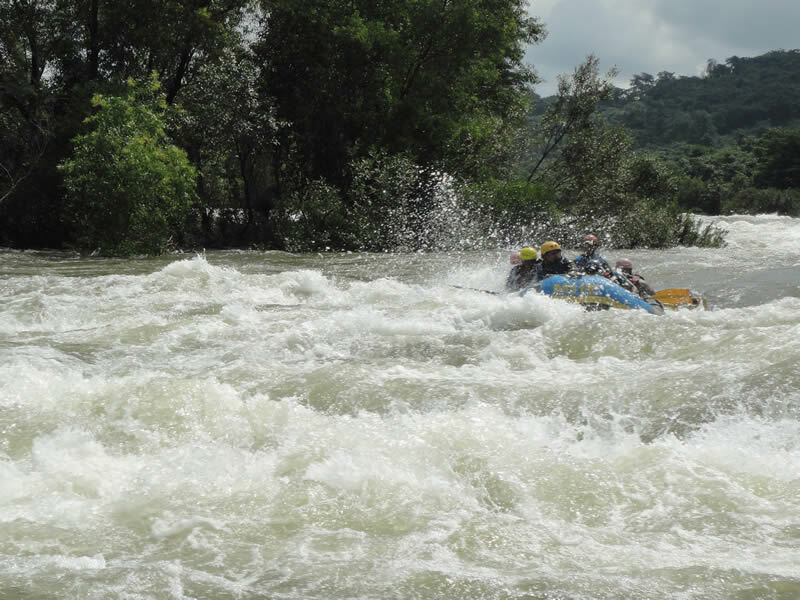 Kundalika Rafting starts. It may delay due to late release of Water or heavy Rush. 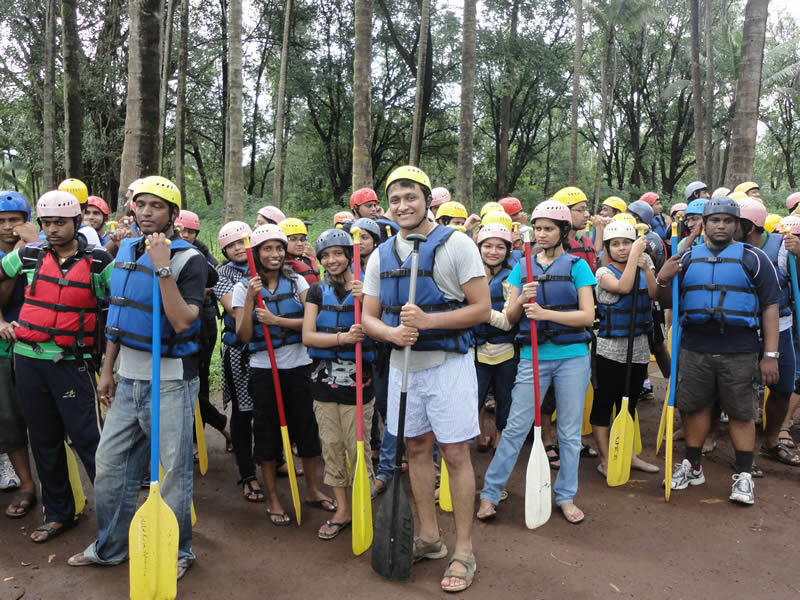 Enjoy the Kundalika Rafting under the expert guidance. 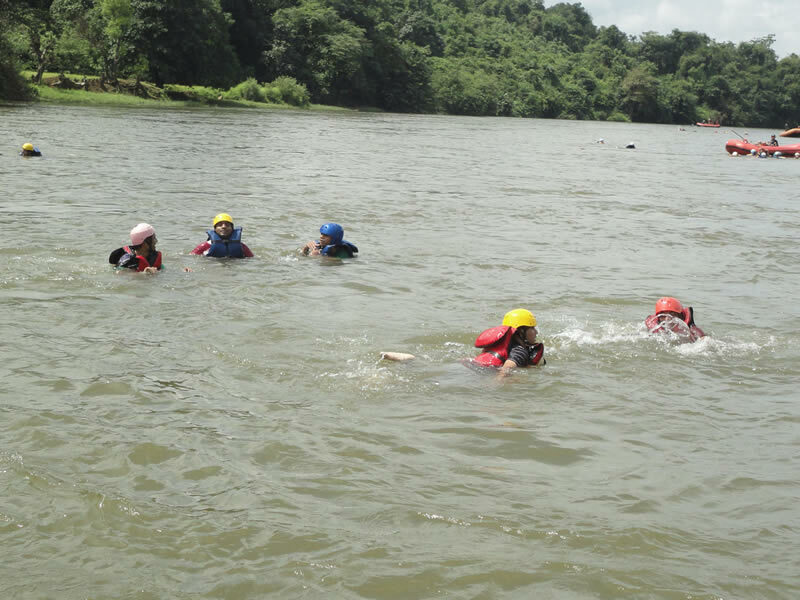 Reach ending point of Kundalika Rafting. Start a walk of 1 km towards our bus. Change your cloths in a bus or at common washrooms of restaurant. *This is a General itinerary. You can travel by your own Vehicle or you can hire a Vehicle from us at Extra cost. Vehicles on Hire. 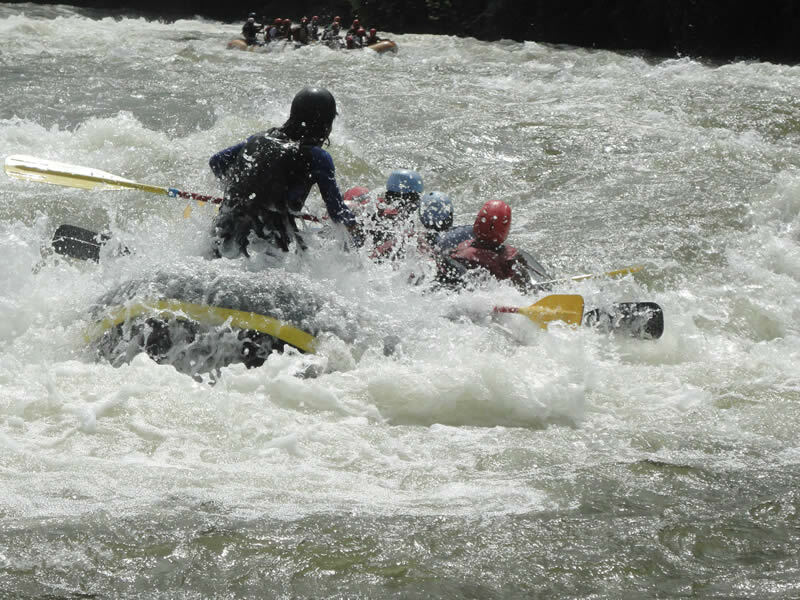 12 kms Rafting on Kundalika River. Dinner of Rafting Day 1, Cold drinks, Mineral water, etc. There are some Beautiful Campsites nested in a vicinity of nature near about 15 kms radius from the Kundalika Rafting Point. 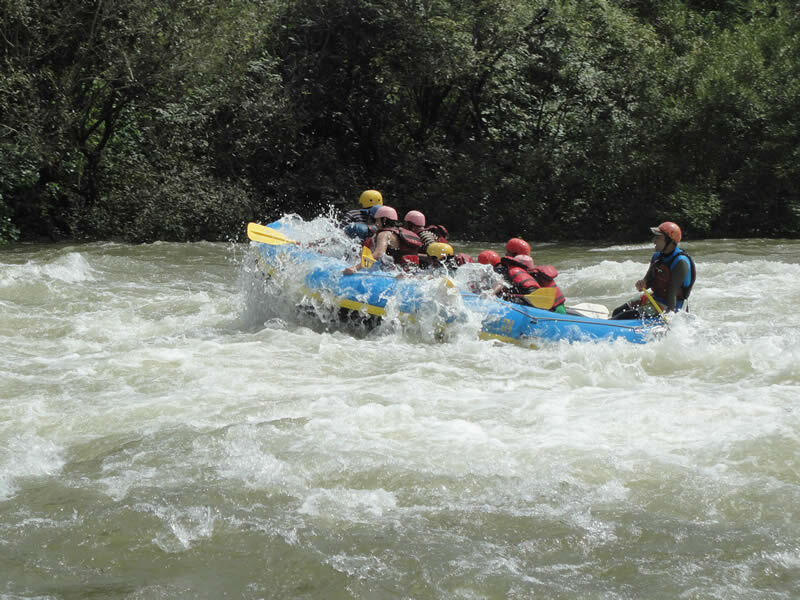 Here you can enjoy the thrill of Kundalika Rafting, Waterfalls in monsoon. Passionate traveler can also enjoy the other adventure activities like Kayaking, Rappelling, Trekking, Paint-ball, Flying Fox, etc. You can enjoy all this with your best buddies, Families & dear once. We will assure you that a short break Tour to Kundalika will be a fully memorable Holiday for you. Stay Options / Accommodation: Rates on Per Head, AP Basis. *Rates are Subject to change without prior Notice & at the Discretion of Hotel management. 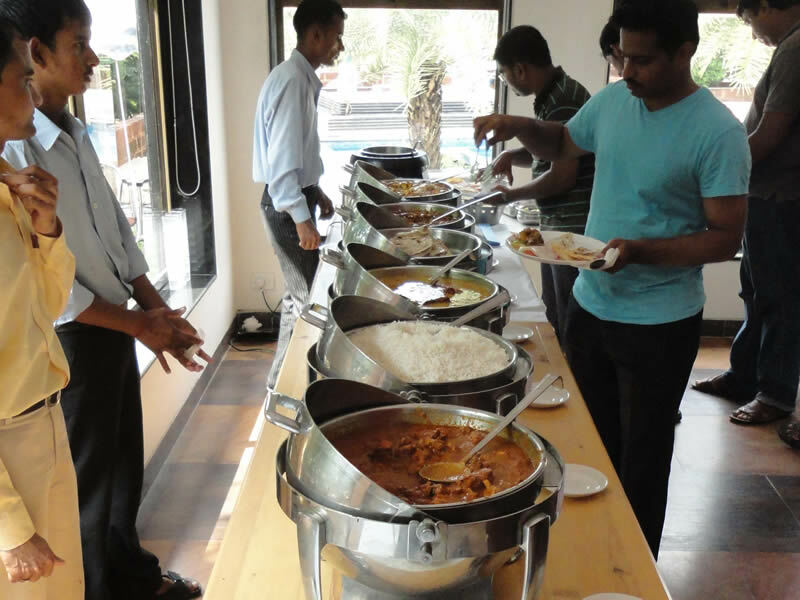 * AP Basis – Breakfast + Lunch + Dinner + Accommodation. * Hotel Taxes & Government Service Tax rs.3.09% Extra on total Billing Amount. Camping: Rates on Per Head, AP Basis. Camp Fire with light Music. Any type of Travelling Expenses from Any Place. Any type of Food in Journey, Cold drinks, Mineral water, etc. Any type of Adventure Sports, Transfer, etc. Any type of Insurance Coverage. 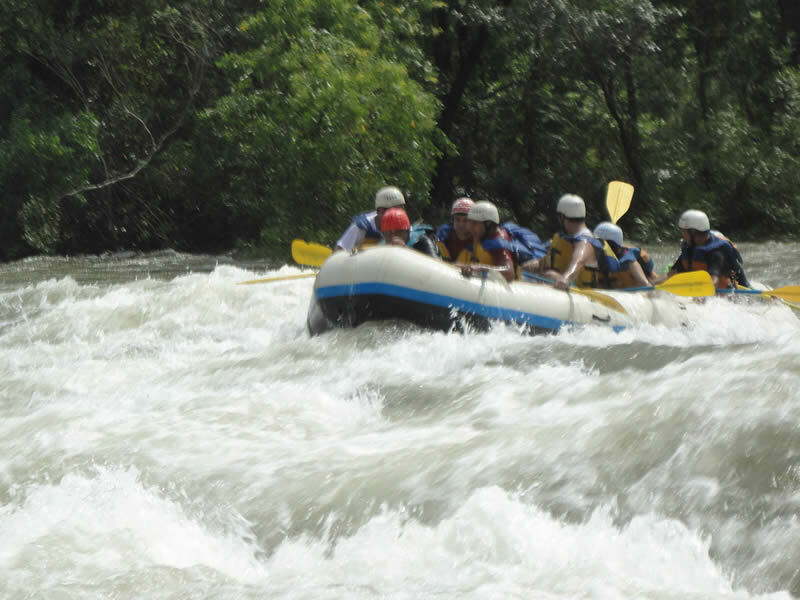 Adventure Activities at Extra Cost: Rates on Per Head Basis. * Above Rates are applicable for minimum 12 participants in a Group. * Team of Adventure Experts. * Government Service Tax 3.09% extra on Total Billing Amount. Advance once received is not refundable or transferable for any reason. Balance amount is to be paid before TWO Days of departure date at Explorers office. Any type of Insurance is not covered in above cost. Journey beyond karjat will come under ambit of MUMBAI package. Explorers or any Member of Explorers is not held responsible for any Type of Accident or Mishap which results into any type of Physical Injury or disability or Financial Loss & any type of technical Problem which results in to late. Electrical equipments – like tape / CD are not assured. All Toll, Parking; Passenger Tourists Tax will be paid by Party. Other state Tax (Out of Maharashtra) will be paid by Party. Passenger Name List, age, Specific route of Journey is required for R.T.O. permit before TWO days of departure. For outstation trips Min. Average running of 300 Kms. will be charged & if it exceeds then per Km charge is applicable. Vehicle BEFORE or AFTER the outstation trip not allowed. In case any use, we will charge the same under local package of 8 hrs/80 kms besides outstation billing. Time & Meter shall be counted “To & fro” From our parking. Vehicles arrived after midnight 12.00 will be charged Rs. 300/- extra for Driver allowance & Rs. 300/- extra per hour for vehicle. In case of Mumbai, Matheran & Mahabaleshwar the rate for one day is Lumsum (Upto 350 Km for Mumbai & 300 km for Mahabaleshwar & Matheran) but if Vehicle is required for 2 or more days then per km tariff will be applicable. Rates are subject to change Prior without notice. Service Tax 3.09% extra on total billing Amount. Disputes, if any subject to Pune jurisdiction only.